Welcome to my studio! 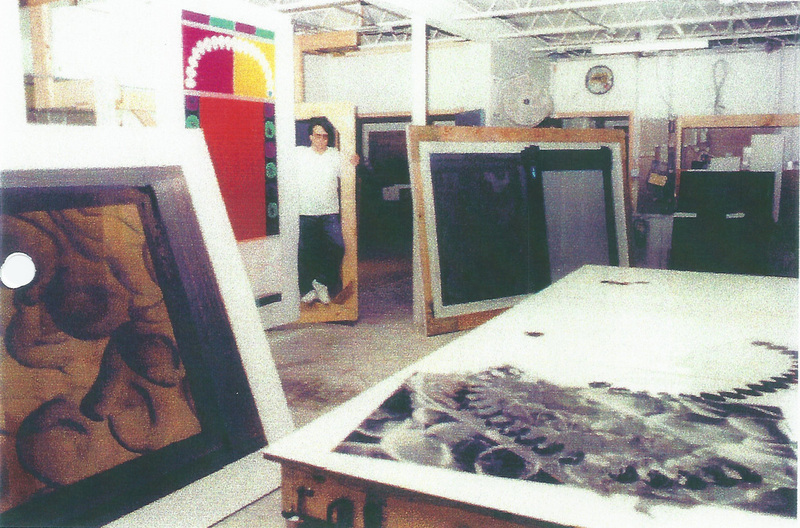 Many of my paintings have been created through the process of photo silkscreen on canvas. It involves the creation of images on film work then the transfer of these images to light sensitive screens. 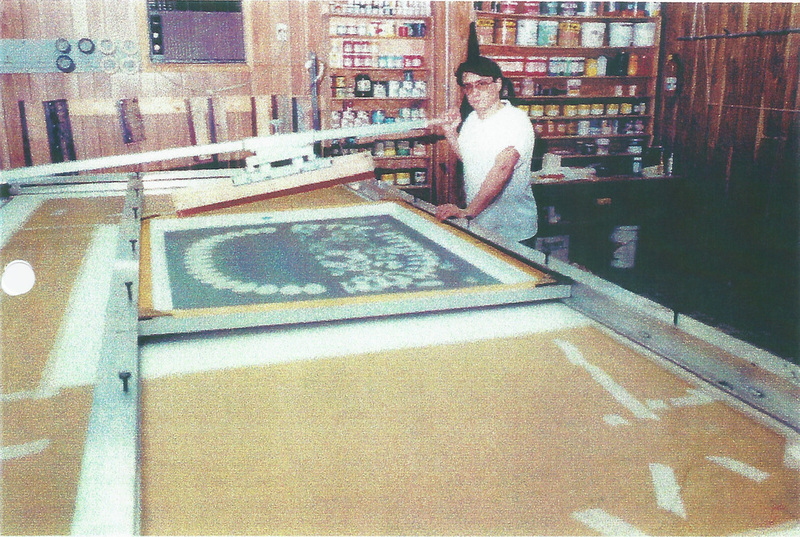 Once the screens are burned with the image, the photosensitive emulsion is washed away and an impervious layer remains that inhibits the passage of paint through the screen in various places on the canvas. 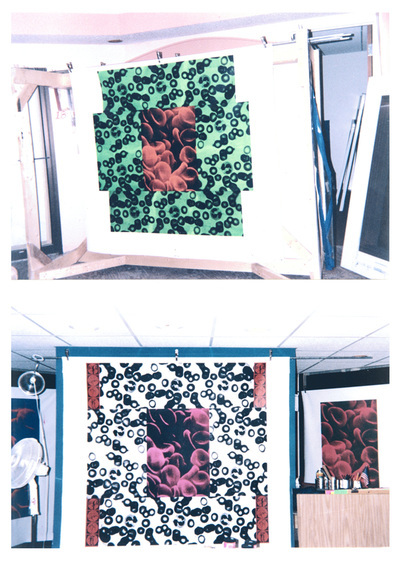 This enables the artist to produce paintings with a photographic quality yet still retain the basic nature of painting which is paint on canvas. Through this method I have been able to create paintings of actual electron microscope images that are true photographic representations of what the blood and AIDS virus actually look like. 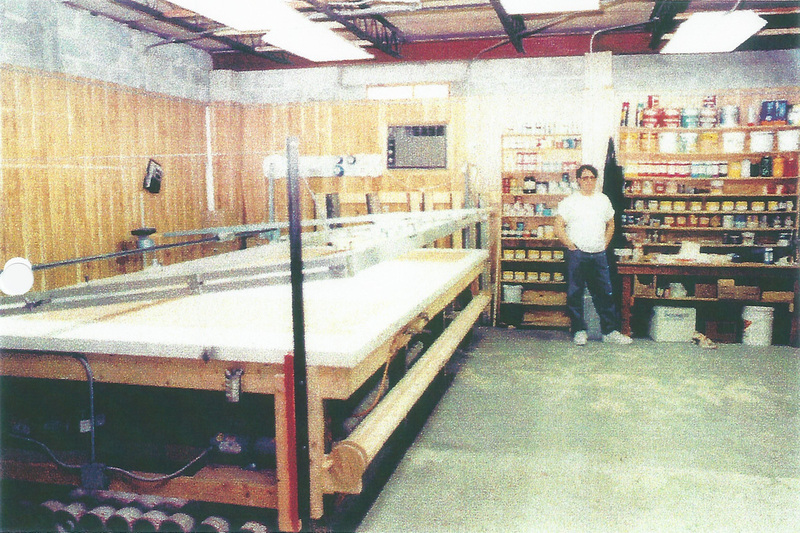 You can see in these studio pictures much of the equipment utilized in this process. The large table with the lever is a vacuum table that holds the canvas down during printing. 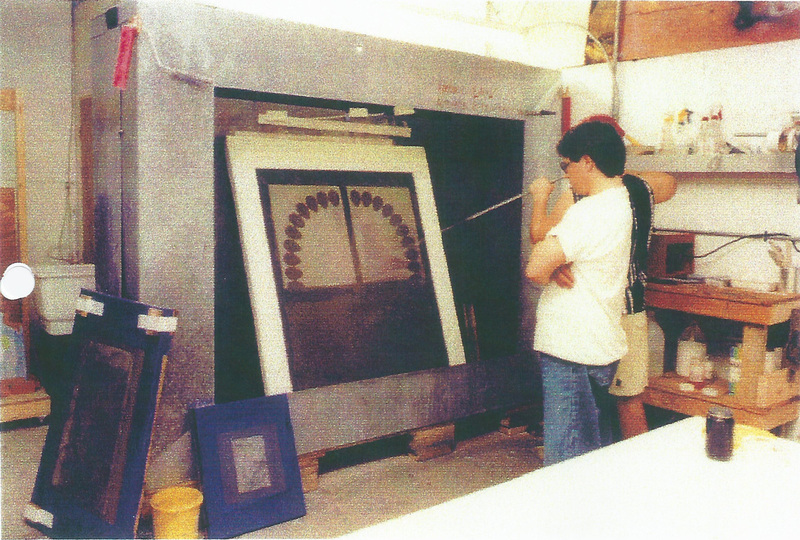 A squeegee and screen fit into the various housings on this table and with very little friction allows a single individual to print sections of the painting. Other images here display the wash tank, exposure unit and screens. 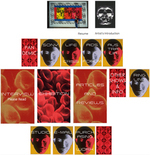 If you have any comments or questions regarding my artwork or this process, please use the e-mail form to send me a message.